We have had a few DJ controllers in for repair now and we are getting more and more familiar with their schematics and repairability. 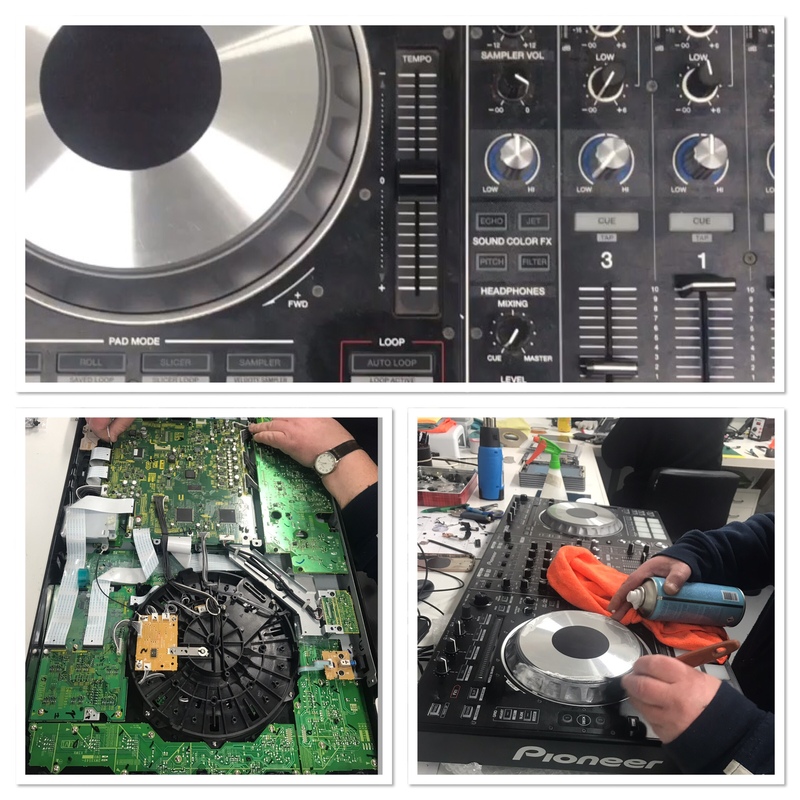 There are several things that can go wrong with DJ controllers however we most commonly repair no power issues, CUE Button faults, Cross Fader faults and liquid spills. It is surprising how much one of these DJ controllers can cost. This one we diagnosed and repaired recently is sold for £1900.00 so not the cheapest things to replace. We are proud to be one of the only local/national repair companies that can offer a repair service for DJ equipment. If you have any DJ or home entertainment equipment that require repair get in touch and we can offer you a quote over the phone or diagnostics from £15.00. The Traktor Kontrol S4 was brought to us by a customer who works as a DJ for Wycombe Sound. He was having difficulty with this mixer as it was not being found by computers when connected via USB. 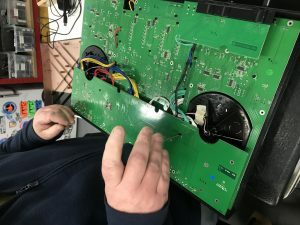 Our technician Paul diagnosed the issue with this device and concluded that there was an issue with the USB Controller IC, after identifying the issue this controller was replaced, and the device was reassembled. Our Wycombe Sound DJ is now happy and back to keeping us tuned. Do you require DJ equipment repair but not sure who or where can do this. Give us a call and we will try our best to assist you. 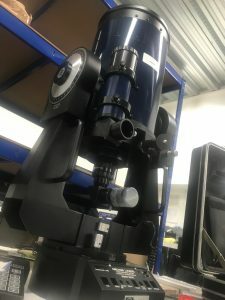 This week at Gadget Rehab the technicians have been tackling a unique repair on an MEADE LX200 Telescope. The customer brought it to us as it was not powering on which is apparantly quite a common issue with these telescopes. Having already been to a few other repair shops and also attempting a repair himself. Gadget Rehab was his last stop. After diagnostics of the device we found that a couple of the Tantalum Capacitors had been faulty as well as the time delay fuze. After replacing these compoenets Paul (the technician working on the device) spent the morning testing the device. The customer was very happy with the repair and is looking forward to going back watching the stars and close by planets. New this device would cost £19,500 so would have been a shame to have given up on it or thrown it away. 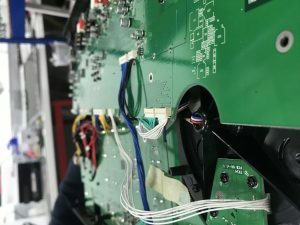 In a society where there is a throw it away attitude here at Gadget Rehab we try our best to repair all gadgets so if you have an random repair such as the telescope or otherwise please contact us and we will try our best to help. The sound of a Bose speaker is second to only Wharfedale in my opinion and they do cost a pretty sum to purchase. 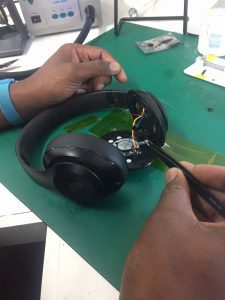 So we can totally understand why customers will be seeking repairs for their Bose speakers and headphones rather than replacements. 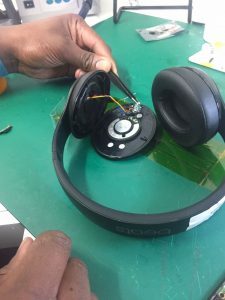 We recently received a Bose headphones where the micro USB port had been damaged due to excessive use. Take a look at what it looks like inside your Bose headphones. I know many of you have purchased these which may have or will develop a fault at some point. 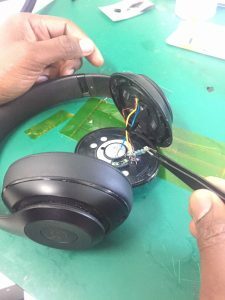 If you ever experience any issues with your Bose headphones give us a shout and we will see if we can help. This was a very exciting project for us. The Aircraft Simulation Contollers are used to help aspiring pilots to take off, fly and land aircraft's of various sizes and weights. The issue with this device was connected to the controls for the right wing being jammed (would hate to be on this aircraft lol). 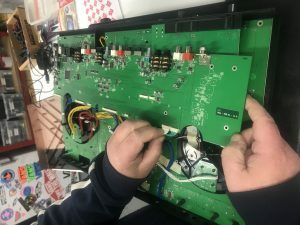 Having never repaired such devices before and with the cost of one of these around £2000.00 we had to be very careful and diligent in our approach to the diagnostics and repair. It turned out that there was a broken internal solder connection along with a seized motor. We completed this successfully and our client is now able to continue his flight simulation courses without having to fork out another £2000.00 on replacement.